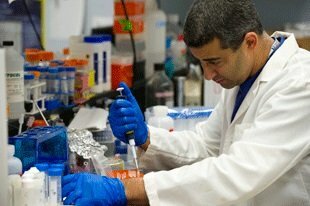 Scott Kachlany, Ph.D., a Rutgers School of Dental Medicine researcher who recently received a $4.4 million commitment in venture capital to bring a potential therapy for cancer and autoimmune diseases closer to human clinical trials, addressed a packed crowd at Chabad House the second week of the new semester. Dr. Kachlany gave a fascinating, easy to understand talk about his exciting findings, and spoke about the research company he founded, Actinobac Biomed Inc., slated for funding from a California-based venture company, which will pay for the final stages of preclinical development before his therapeutic technology, called Leukothera, is tested on humans. Leukothera is based on Kachlany’s discovery that an oral bacterium, which causes periodontal disease, can produce a protein that can be used to kill leukemia cells in animals. Leukothera is also a potential therapy for autoimmune and inflammatory diseases, including rheumatoid arthritis, multiple sclerosis, Crohn’s disease, and HIV infection. 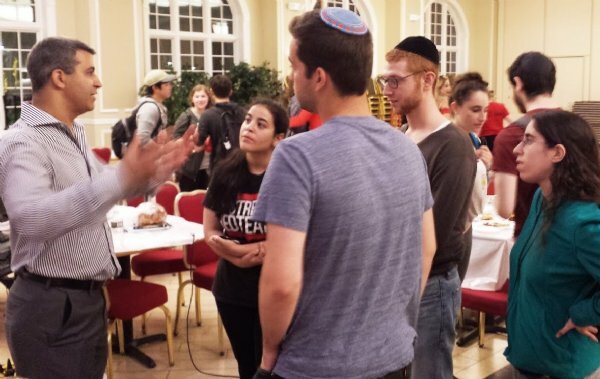 After his presentation at Chabad’s weekly Jerusalem JCafe, students were invited to ask questions about his life and research, which revealed just how many students were knowledgeable in the sciences and interested in his work. One question centered on whether this technology will be safe to use on humans. Dr. Kachlany responsed that “toxicity tests on animals so far indicate that Leukothera is very well tolerated. Even at very high doses of the drug, there are no side effects.” Dr. Kachlany plans to use the $4.4 million grant to seek matching NIH funding that will enable Leukothera to be tested on humans with leukemia and lymphoma within the next three years.